Tharoor was speaking at the National Indian Students and Alumni Union UK where he has been welcomed as a Patron. LONDON: Britain must remove obstacles faced by Indian students in this country so that the UK could benefit from the skills and knowledge Indians have to offer, Congress MP Shashi Tharoor said here. "For any preferential ties with India after leaving the European Union, Britain should understand that what India can best offer is its people and their skills, its students, its IT and software professionals and so on and I am not saying Indians should migrate here," Tharoor said. "As an Indian politician, I want them to come back to India and to serve my country but I would like them to come here and study, if they want, to have a temporary work permit, acquire skills and training that they can use when they come back. 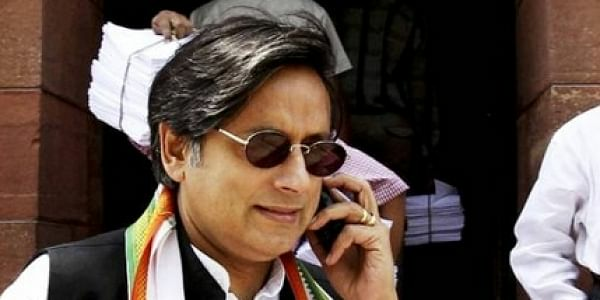 But it is becoming more and more difficult for them to possibly do that," Tharoor said. He was speaking at the National Indian Students and Alumni Union UK where he has been welcomed as a Patron. During the ceremony, Tharoor spoke about the issues of Indian students face in the UK and how Britain should approach India post-Brexit saying, Britain must remove some of these obstacles and can create a new "framework", which is in line with NISAU's proposed two-year visa scheme, the 'Fair Visa Fair Chance' campaign.